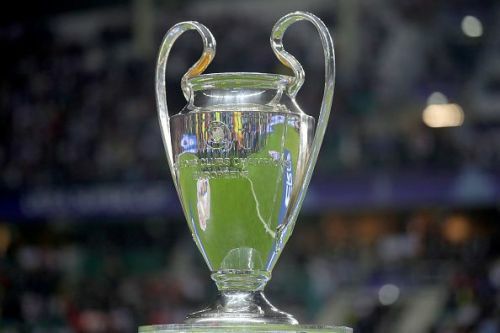 Ever since 1956, 22 different clubs have won the Champions League (previously known as the European Cup until 1992). It's a very difficult tournament which has only become tougher and recent decades have proven that only teams with adequate resources make it all the way to the final. Europe's most prestigious competition has seen the birth of legends. At the same time, it has also seen many legends fail to get their hands on the trophy over the course of their entire careers. In these 63 years, only six players (representing only three of those 22 clubs) have won the trophy five times. As much as Cristiano Ronaldo was responsible for Manchester United winning their last Champions League title in 2008, they almost lost it because of him. The Portuguese star had opened the scoring in the final against Chelsea with a towering header before Frank Lampard equalised and took the game to penalties. In the ensuing shootout, Ronaldo was the only player to miss for the Red Devils. Had it not been for John Terry's slip and Edwin van der Sar psyching out Nicolas Anelka, Chelsea would have gone home with the trophy. As the United players ran to the goalkeeper to celebrate, Ronaldo broke down in tears, more out of relief than anything else. He was only 23 then, still a youngster carving a name for himself. By the time he had moved to Real Madrid for a world record fee, he was slowly becoming a man, keeping his emotions in check and working harder than any teammate, nay, any player in Europe. Since then, Ronaldo has been the top goalscorer of the Champions League seven times - a record. And he has helped Los Blancos win the precious trophy four times. 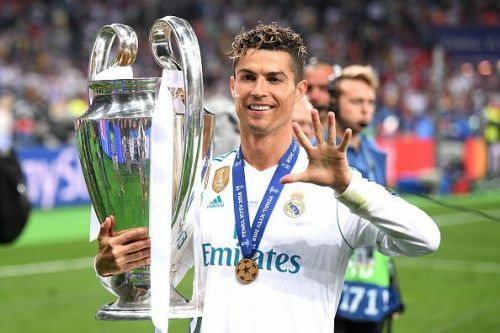 That included their much-coveted La Decima (Real's 10th Champions League crown) in 2014 and an unprecedented hat-trick of Champions League titles between 2016 and 2018. As of the end of the 2017/18 season, Ronaldo has scored 120 goals in the competition. It is his consistency in finding the back of the net that prompted Juventus - a two-time champion and seven-time runners-up - to bring a 33-year-old player on board for €100m to break their duck in the 21st century.